If you have not been APPROVED to drive with us, you will not be able to complete registration. Please contact moehpde@gmail,com for APPROVAL. 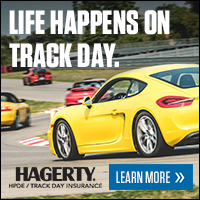 - MAKE SURE YOU INCLUDE A SUMMARY OF YOUR DRIVING EXPERIENCE OVER THE LAST 2 SEASONS (HPDE ONLY!) AND THE EMAIL ADDRESS YOU USE FOR YOUR MOTORSPORTREG ACCOUNT!